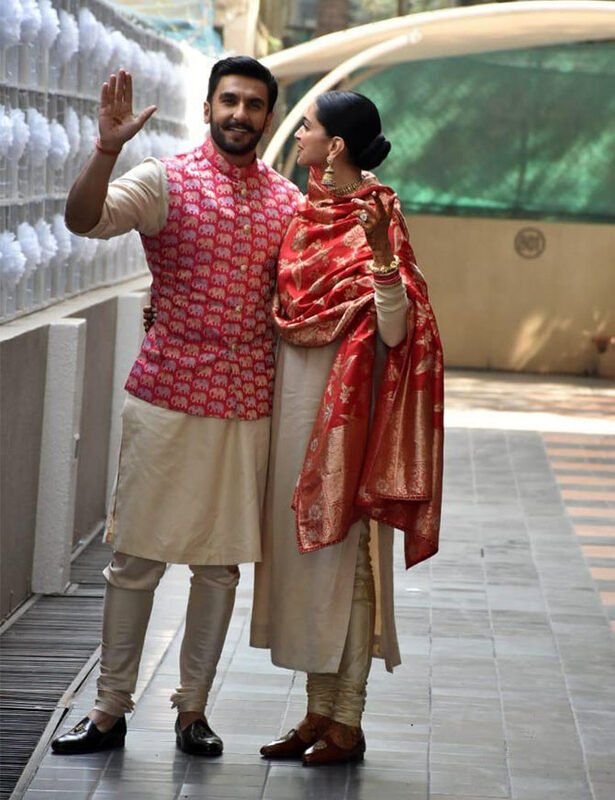 Rediff.com » Movies » DeepVeer are back and they are adorable! 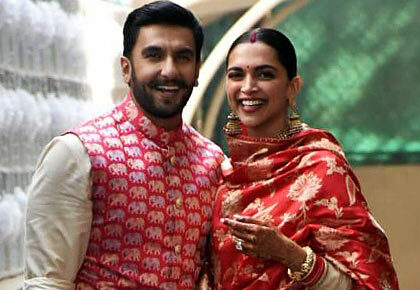 Deepika and Ranveer look totally in love. 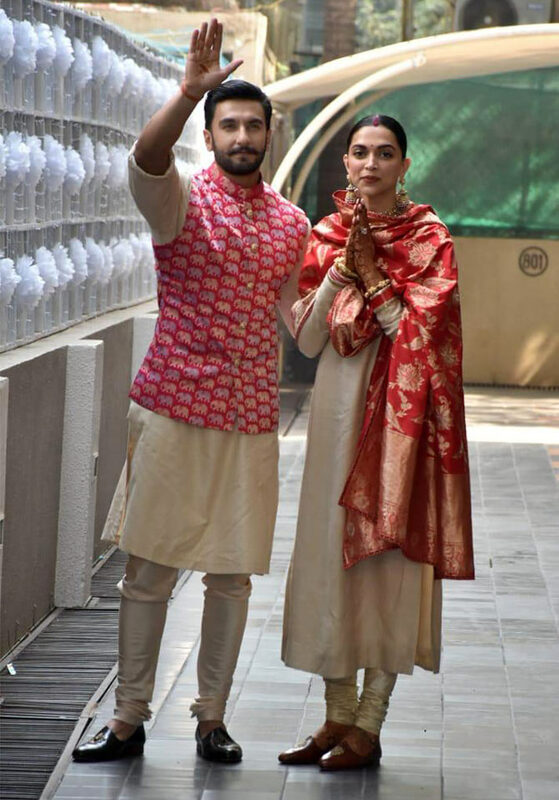 Deepika Padukone and Ranveer Singh are back in Mumbai. 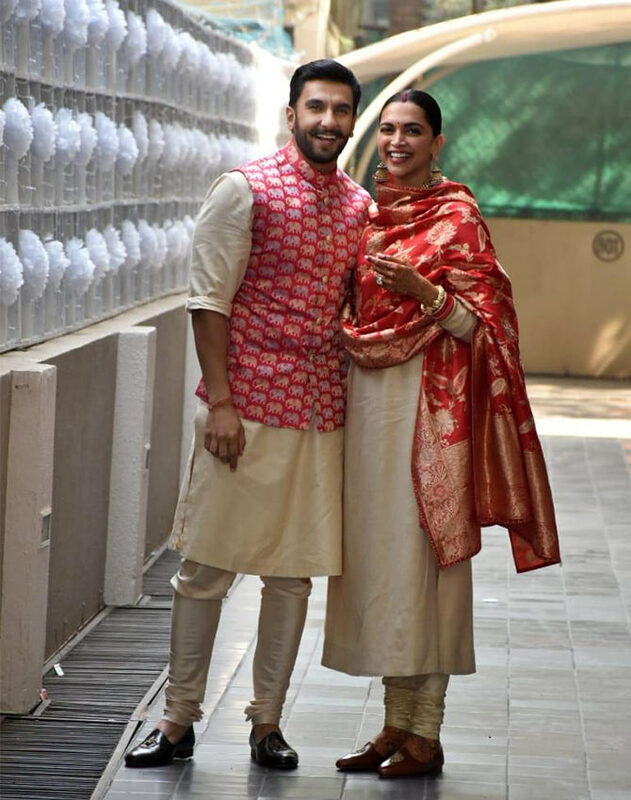 DeepVeer wed at the Villa del Balbianello overlooking Lake Como in Italy, in a Chitrapur Saraswat Brahmin ceremony on Wednesday, November 14, and a Sikh ceremony on Thursday, November 15. 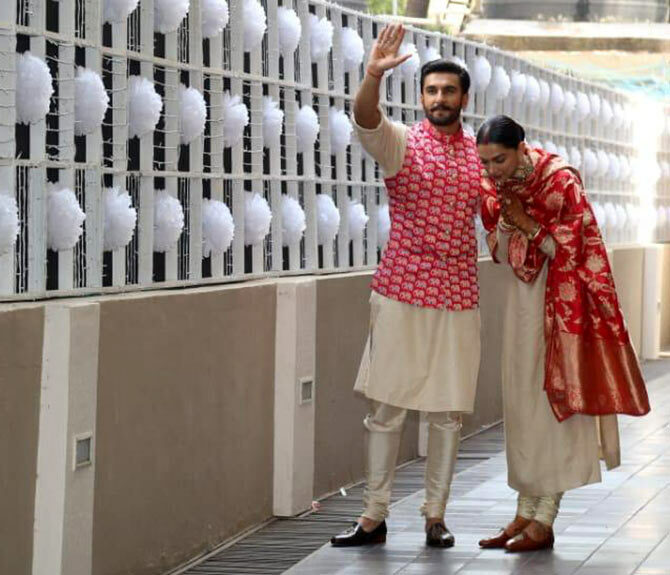 The couple arrived in Mumbai early on Sunday, November 18, and were spotted at Ranveer's building, Shree, in Bandra, north west Mumbai, which was all decked up for DeepVeer's arrival. The couple walked hand-in-hand and posed for the cameras. Deepika wore a bright red and gold outfit, the sindoor prominent in the parting of her hair. 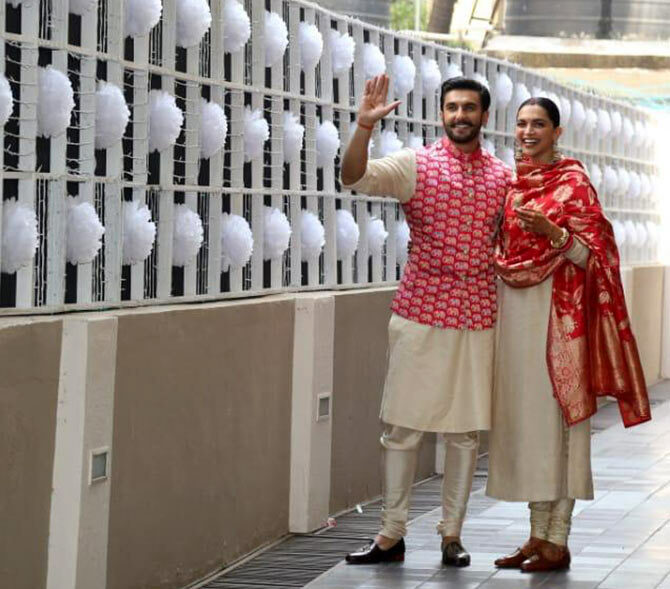 Her husband wore a subdued pink and gold jacket, no Ranveersque sartorial flamboyance, thank you! 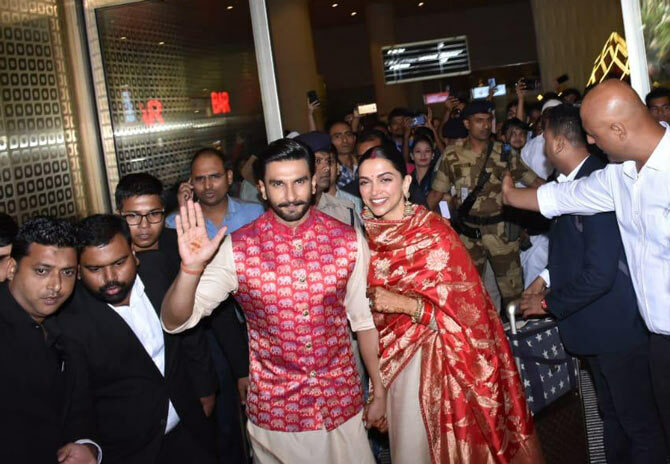 At Mumbai airport, Ranveer escorted his bride to the car as huge crowds gathered to get a glimpse of Bollywood's new Missus and Mister. 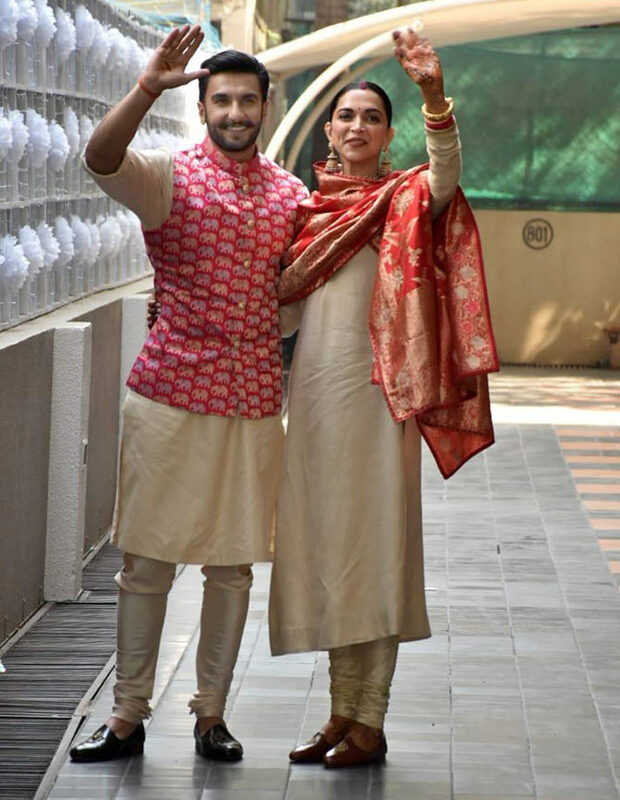 Deepika and Ranveer will head to Bengaluru, Deepika's home town, where the first reception will be hosted on Wednesday, November 21.